This 4,987-square-foot home on Boulder Creek was featured in Bizwest’s Distinctive Homes of the Boulder Valley in April 2016. According to Zillow.com it sold in May 2017 for $3,495,000.  At the close of 2017, many were speculating that Boulder had finally reached a price ceiling at the limits of people’s purchasing power. 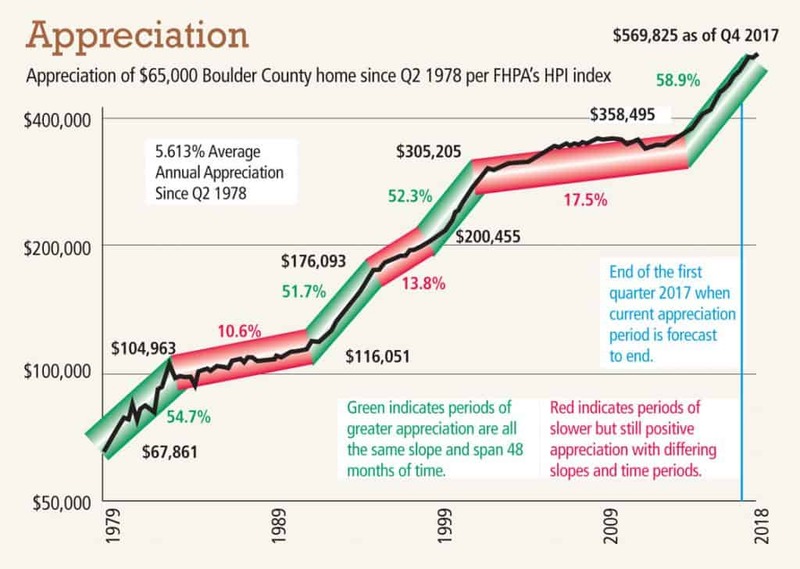 The speculation continued that prices in Boulder would level off for some significant period of time as the city waited for buyers to accumulate more savings, wages to rise, etc. After all, approximately 40 percent of the homes sold in Boulder were over $1 million last year, so surely the pool of buyers able to buy a million dollar home must be depleted, right? The first quarter of 2018 has largely disproven that theory. 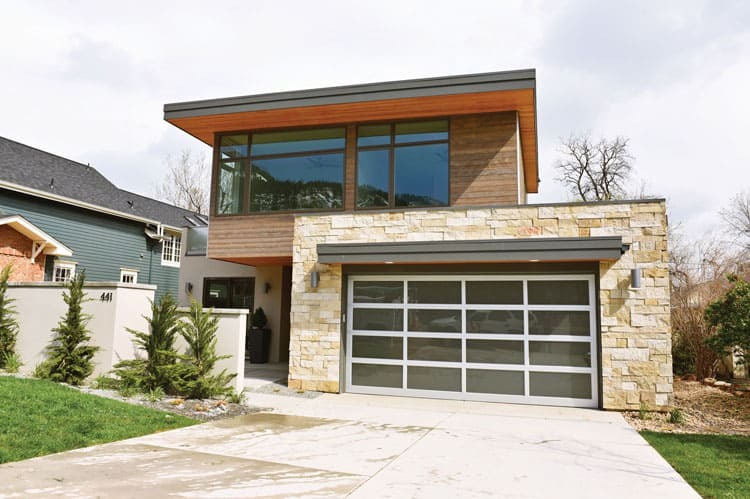 The average single family home price in Boulder reached $1,207,403 by the end of March, which represents a whopping 21 percent increase over the same period last year. Anecdotally in my real estate sales practice this year, I have seen multiple homes listed over $1.3 million ultimately sell for at least $200,000 over asking price. On the seller side, it is a cause for celebration, as the next chapter of their lives will be unexpectedly more comfortable. On the buyer side, it can be incredibly frustrating and demoralizing to save for a major purchase, believe you are well-positioned to make your dream come true, only to have the finish line moved forward on you. When you include the fact that about one quarter of the city’s recent home purchases have been cash transactions — and mortgage interest rates are a full point higher than last year — you begin to understand the size of the challenge facing buyers. 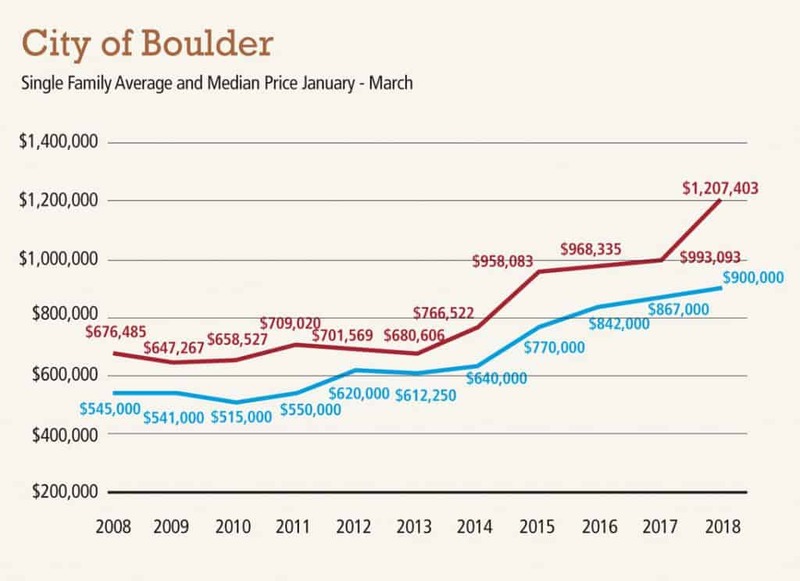 Looking back to 2008, you can see that home prices have almost doubled in the last 10 years (see City of Boulder chart). Looking back even further to 1978 (see Appreciation chart), one can see that this appreciation trend is not an anomaly in Boulder. In fact, according to the Federal Housing Finance Agency, Boulder County has appreciated more than anywhere else in the country going back to 1991. I have used earlier versions of the chart [to the right] in previous articles to try to assess when our current appreciation cycle would level off. Back then, I noted that the pattern going back to 1978 would have predicted that our appreciation cycle would have ended in mid-2017. I further stated, however, that there were factors present today that were not issues previously, the most prominent of which being that Boulder has almost reached full build-out under current zoning regulations. That is, we are much closer to running out of land now, which will continue to put upward pressure on existing homes. 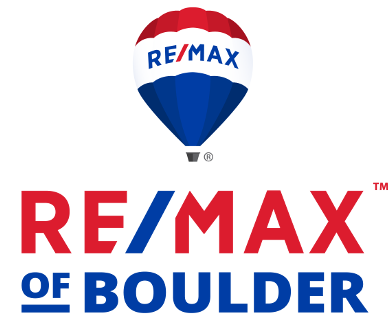 Crossing the $1.2 million threshold means that Boulder is becoming disconnected from the surrounding cities. Some call it becoming a “resort market” like Aspen, others compare it to Silicon Valley (Nerdwallet published a study in support of this assertion, wherein in Boulder was listed in the top five least affordable housing markets, along with San Francisco, Silicon Valley, Honolulu and San Diego). However you characterize the situation, it is becoming clear that this is not an aberration and the challenges facing buyers will likely continue to mount as summer approaches. Originally posted by BizWest on Wednesday, May 2nd, 2018. Original found here.